Biography of Hazrat Khwaja Khanoon sahib R.A. Shahansha-e-vilayatGwalior (M.P.) India. patriot to uplift the humanity above the „narrow domestic walls of caste and creed‟. 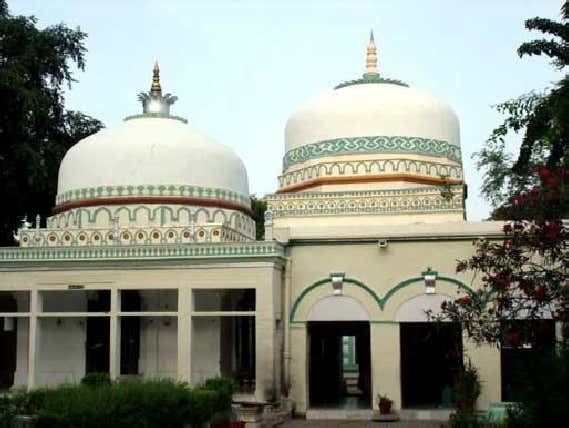 Hazrat Khwaja Khanoon Sahib was born in 853 Hijri that is In 1434 A. D. in Nagore, a village near Jodhpur (Rajasthan). 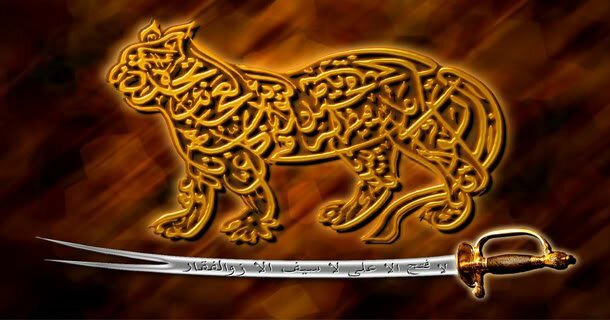 His ancestors had come from Khurasan and settled there. The real name of Hazrat Khanoon Sahib Sayiduddin, but his father affectionately called him ‘Khanoon’ and the name stuck, Right from the early boyhood Hzt. Khanoon led an extremely pious and austere life. To serve the parents, to respect the elders and to obey the Pious and the En­lightened were the cherished principles of his life. He was barely fourteen years of age when in the year 1448 A.D he com­pleted his education and got himself enlis­ted in the Royal Army. It was here that he received the news of his brother Hazrat Badruddin’s death. Hzt. Badruddin, who was also in the Royal Army had gone on a haunting expedition along with the king. He had lost his way, when he was waylaid by the robbers and met a martyr’s death. On reaching the place of tragedy Khanoon Sahib found that the blood was still oozing out from the wounds of his dead brother and his corpse laid covered with fresh flowers. He performed the last rites of his dead brother and him buried near the grave of a saint. Next day he had a spiritual communion with his brother who infor­med Khanoon Sahib that the Almighty had blessed him, had given him a place in Heaven. He also apprised Khanoon Sahib about the sacredness of the learned and enlightened saint near whose grave he was buried. All this left a profound and lasting impression on Khanoon Sahib and he began to devote more and more of his time in prayers and meditation. Soon he began to realize the emptiness of life he was hitherto leading. A heavenly voice spoke within him. He was command­ed to free himself from all worldly bondages The futility of having any attach­ment with the ephemeral world appeared to have dawned upon him almost overwhelmingly. He longed to achieve salvation and decided to renounce the entanglements of this world forthwith. He distributed all his belongings amongst the poors and cladd­ing himself in a lone blanket he set out on his holy mission. At the age of twenty-one he become a staunch disciple of Khwaja JalalSufi Hamidduddin Nagori and Khwaja Gharib Nawaz Ajmeri, who happened to be his ancestor from his mother’s side. He reached Nagore to pay homage at the Dur­gah of the great one. Here he also took farewell from his relatives and kinsmen and. thereafter proceeded on foot to Aimer. He took to prayers and penances at Ana-sagar in a cave, situated near the CHILLA of Khwaja Kutub Sahib. At last, as an act of extreme penance he drowned his head and face in the outlet of the water that flowed from the Dargab of Garib Nawar and poured into a pool near­by. Thus forgetting even his very existence he remained there for a long time till Khwaja Garib Nawaz himself appeared to enlighten him. He felt the tender touch of the holy hand over his head and heard the prophetic voice of the holiest, “Khanoon, my child, God has ordained you to be His torchbearer from the day you were born. Now get up and present yourself to Khwaja Ismail of Nagore. 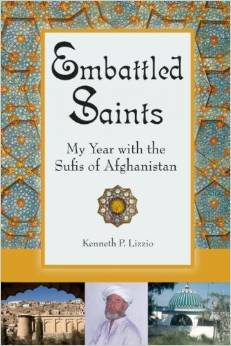 Be blessed with his pro­found spiritual benedictions. Go to him, for with your fate in hand he awaits you at Chanderi, Thus awakened from his trance and inspired by the pious utterings of the Garib Nawaz, Khwaja Khanoon Sahib set out towards Chanderi. However, on reaching his destination, he instead of going directly to Khwaja Ismail, establish­ed himself in a mountain cave, for he did not deem it proper to present himself be­fore his teacher till being so commanded by him. In the cave he gave himself up to terrible penances and profound medita­tion. Years slipped away like this. Thick layers of dust settled on his whole being and many a time hedges grew and dried up on his mud-covered body. At last Khwaja Garib Nawaz had a spiritual communion with Khwaja Ismail and told him how Khanoon Sahib was awaiting his Summons in that cave of Chanderi, “Let him be summoned before you” continued the great seer “Bless him with your introspective knowledge and spiritual wisdom and command him to settle at Gwalior to carry out the work of God. The very next day, when the sun had not yet come out of the eastern horizon, Khwaja Ismail ordered his disciples to bring Khanoon Sahib to his presence. On reaching the mountain cave the disciples found Khnnoon Sahtb in a State of complete trance. If he was not mistaken for dead it was because his nails and the hair had grown large. He was bodily lifted along with the dried clay that had accumulated on his whole being, and was brought before Khwaja Ismail in a planquin On seeing him in that state the Holy one loudly called out in his ear “Baba Khanoon”, At this sacred command of the blessed sage Khanoon Sahib opened his eyes. He had become alarmingly weak and it took him several days to regain his vita­lity. However, on becoming normal again, he was summoned before Khwaja Ismail Sahib and on 9th Zilhij” which happen to be a special day of ‘Haj’. Khwaja Ismail blessed Khanoon Sahib with all that hea­venly wisdom and insight which he himself had imbibed from his father and preceptor. He instructed Khanoon Sahib to first go to Aimer and then to settle at Gwalior to spread out the message of God and the gospel of truth and righteousness. Khwaja Rashid Khanooni was borned in 1946 at Gwalior city, M.P. state India. He has completed his primary education in Bhopal, capital city of M.P. state and succeeded his secondary education from Uttar Pradesh state board Agra. He was graduated and awarded degree in Law from Jivaji University of Gwalior. Education thrust has taken him to Delhi and London University. In 1977 he has left his legal practice and taken a ‘U’ turn to become Sajjadanashin of 500 years ancient Dargah of Hazrat Khwaja Khanoon. By that time he has committed to the deep religious and spiritual knowledge. He has given full time to Roohani Acadamy resulting many historical books has been published by the acadamy. Apart from all above he has attached with All India Jamiatul-soofia, Jashn-e-Islam, Soofi conference. He is vice president of Indian National Soofi Board. Member of M.P. State government Vigilance committee (Lok ayukt, Gwalior). He is chairman of Khwaja Sahib Education and Welfare society.